Entrepreneurial-minded military veterans, National Guard/Reserve members, and their spouses are invited to attend a free Boots to Business: Reboot training program from 8 a.m. – 3 p.m. Thursday, Nov. 2, in at the New Mexico Military Institute’s (NMMI) Daniels Leadership Center, Room DLC200, in Roswell. This intensive, two-step program provides veterans with an overview of business ownership as a career vocation, an outline and knowledge on the components of a business plan, a practical exercise in opportunity recognition, and an introduction to available public and private sector resources. The Roswell Boots to Business: Reboot training program is presented through a cooperative eff ort by the U.S. Small Business Administration (SBA), the New Mexico Veterans Business Outreach Center (VBOC), The Small Business Development Center (SBDC), SCORE, the Association of Women’s Business Centers, Syracuse University’s Institute for Veterans and Military Families, Cornell University, and Mississippi State University. Step One is an Introduction to Entrepreneurship program taught by business advisors from the SBA and its partners. Step Two is an online follow-up course taught by a consortium of professors and skilled business advisors from the SBA and its network of partners. Though the seminar is free, pre-registration is required and can be completed online at sbavets.force.com. 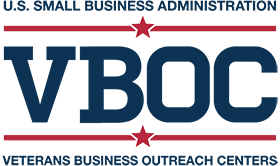 For more information, contact Roswell-based VBOC Veterans Business Advisor Jim Cassidy at [email protected] or 624-6002.